With over twenty five years' experience in innovation, Neil has developed a noted ability to 'get inside' clients' problems. This has included projects from industries as diverse as automotive, aerospace, food, pharmaceutical, medical devices, chemical and the oil industry. Neil's first introduction to TRIZ was in 1996 and came from being trained in innovation software from Invention Machine Corporation. Prior to this, Neil had completed an automotive biased Mechanical Engineering degree and worked as a design/development engineer - innovating the traditional way, but nonetheless creating a number of patentable solutions. He subsequently joined Invention Machine as a consultant. Experienced in both training people in the TRIZ philosophy and tools, and in the application of those techniques to create breakthrough solutions, Neil now brings those skills to the Oxford Creativity team. 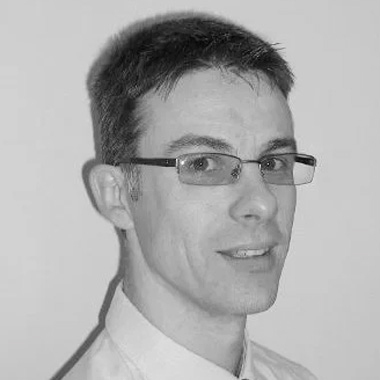 A Chartered Engineer, Neil lives in the Midlands with Helena and their four children. He is a Scout Leader, who also tries to find the time to go sailing or canoeing/kayaking and is a qualified sailing instructor. He enjoys tinkering with old cars, and occasionally troubles the local community by ringing church bells - although more recently his weapon of choice has been a ukulele, which although not as loud as a bell is more portable. Automotive biased Mechanical Engineering degree then worked as a design/development engineer - innovating the traditional way, but nonetheless creating a number of patentable solutions before becoming an innovation consultant in 1997. Opening people’s minds to the possibilities that TRIZ brings them – and then teaching them how to do it for themselves. My role covers two parts – training & problem solving. This requires us to quickly understand both the nature of the problem and an overview of how the system we’re looking at works, as well as managing the workshop process and of course having an in-depth knowledge of TRIZ. Developing ongoing relationships with clients that translates into a wider roll-out & adoption of TRIZ. Water sports. Old Cars. Scouting. Playing ukulele in village band. Open space. Open minds. Good food. I have more cars than children!